« Chinese Anyone? Lynette Lo Tom has a Cookbook for You! The exhibit’s run has been extended, but only until Saturday, October 10. The time is now to see it before it’s gone. 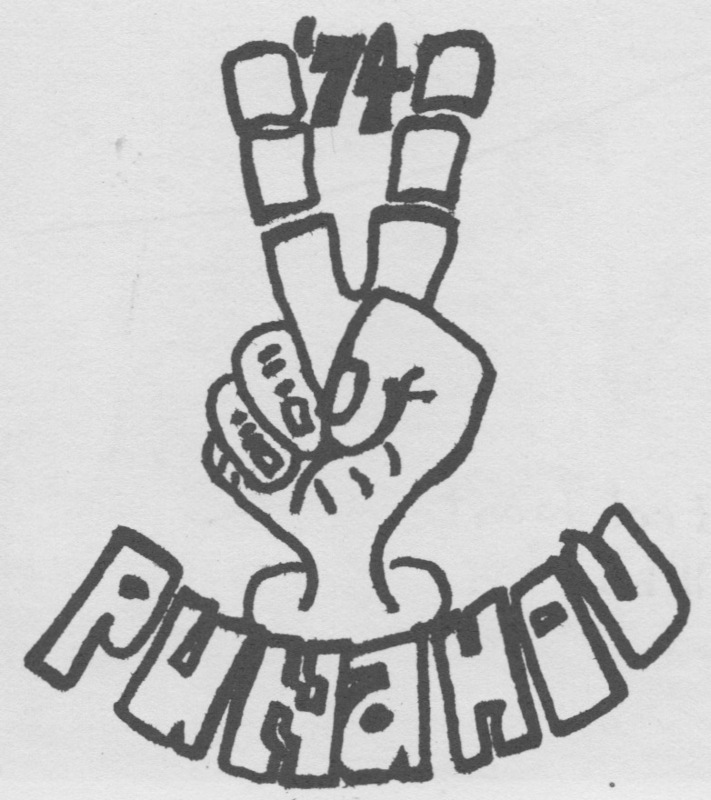 The time is Thursday for Punahou74 to see it together. And here’s a special invitation from Melanna to encourage you to be there. Meleanna in a still from the KalamaProductions video that’s linked below. It would be great to see you this Thursday at a special mural exhibition event at Marks Garage in Chinatown. The focus will be an important work that I and my artist friends have created. 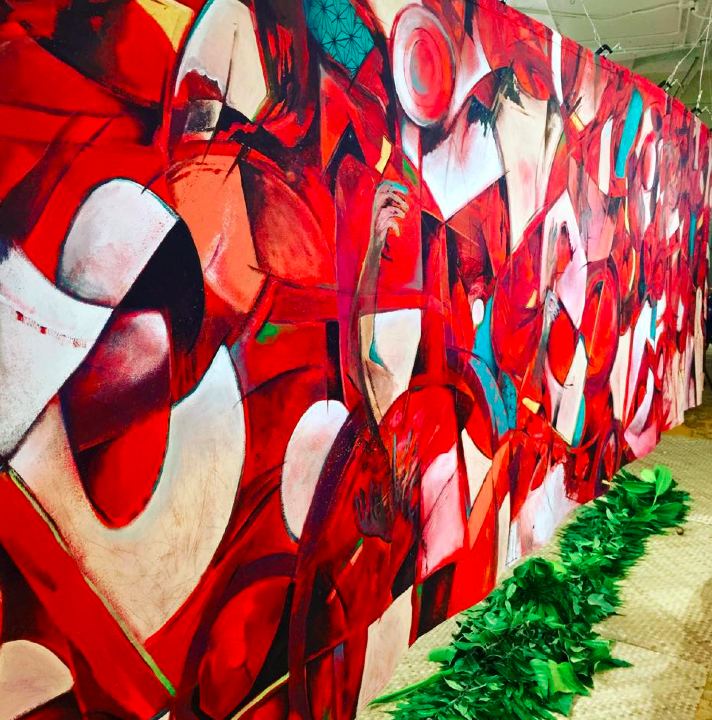 The piece has to do with healing and Hawaii’s history. Our creative insights are being offered as a salve and hope for our greater community. A film sketch will also be presented that describes the documentary I am working on with David Kalama and Alice Walker. Now for the important information: Wine and pupus, of course! Experience this work for yourself and get involved. Please come! You won’t be disappointed. The “trauma” side of the mural. What’s on the other side? Guess you’ll have to get to Marks Garage to find out! KalamaProductionsInc: Six artists, several alakaʻi, family and kokua, gather for a spiritual ceremony in Art.